A recently added clause in Apple’s App Store Review Guidelines for apps has caused a bit of a stir among the developer community today. The clause appears to outlaw any apps that display apps from other companies for sale inside them. I reached out to several developers whose apps do just that to see whether the new rule—which was noted by Keith Andrew at Pocket Gamer and then by Darrell Etherington at Techcrunch earlier today—had impacted them. The short answer is yes. Several developers that I spoke to today have had apps rejected in review from Apple for offering outside apps for sale in their apps. Some of them were able to get their apps approved eventually on appeal, and others have yet to get an approval. The way that Apple is treating this rule is an important issue for any developer who includes other apps for purchase in their app. Here’s what we’ve learned so far: the apps most at risk are those that offer no other functionality than listing and sorting apps by various criteria. If your app is offering a straight-up alternative to the App Store, with what Apple perceives to be ‘no additional value to users’, then it will be rejected. 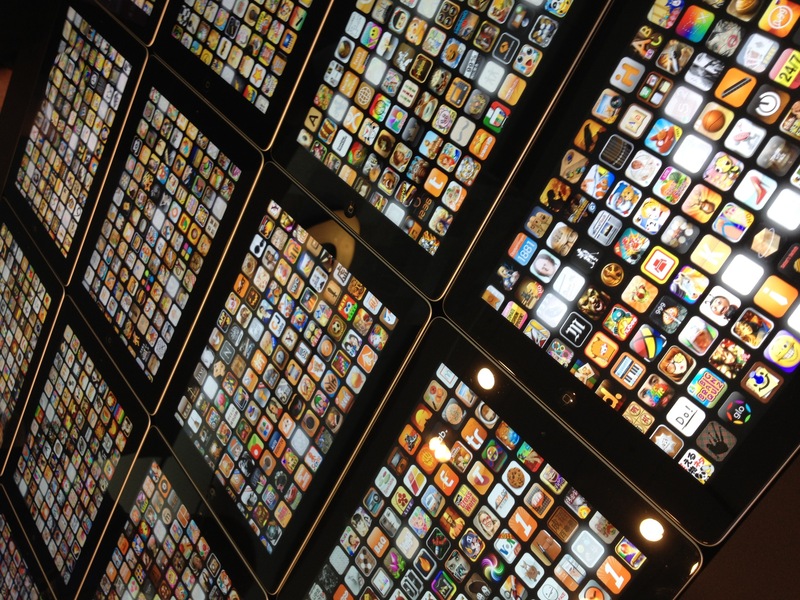 An example of an app that could be in trouble might be the AppShopper app, which offers an alternative way to browse and discover apps, but whose improvements over the App Store are more nuanced than, say, the Toucharcade app. The Toucharcade app features curated lists and reviews as a primary component something that the App Store does not do. Note that it could still be argued that the emphasis on price tracking and wish list integration by AppShopper could still be argued as differentiating AppShopper from the App Store itself, but Apple is apparently putting the burden of proof on developers. We spoke to AppShopper (and Toucharcade) publisher Arnold Kim, but he declined to comment about the status of the apps. Both apps have had an update since the new rules were posted, but AppShopper’s latest update was released on September 17th, which would likely have put its review as complete before they went into effect. Note that apps which only offer a few links out to other apps as a promotional tool or as a service to users, you’re not in danger here. The “in a manner similar to or confusing with the App Store” clause of that rule above is what Apple’s really after. If your app does offer an extensive list of apps in a way that could be construed to look like the App Store, however, you’re going to have to prove to the App Store review team that your app offers more benefit. I have been playing with a new app called App Map, which is very cool, and it offers a kind of app discovery based on location, which results in a list of most used apps. Since the functionality seemed like it crossed paths pretty plainly with this new rule, I reached out to developer Ben Guild. “I think it’s pretty clear that Apple wants to caution companies away from building these sorts of Apps. App discovery is a really interesting space with tons of room for innovation, but perhaps it’s a space that Apple itself wishes to solely focus on,” says Guild of the way Apple’s enforcing this new rule. 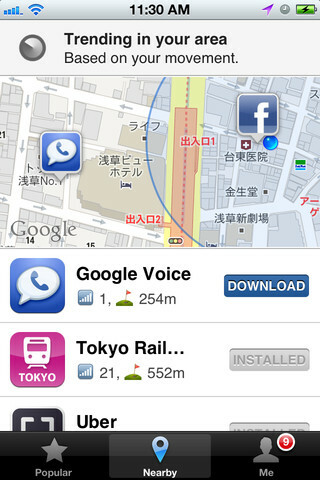 App Map’s function that presents apps being used by other App Map users near you is the key bit that got it approved. It’s actually very clever and offers a perspective that simply cannot be had using the App Store. And it turned out to be Guild’s saving throw, getting the app approved. 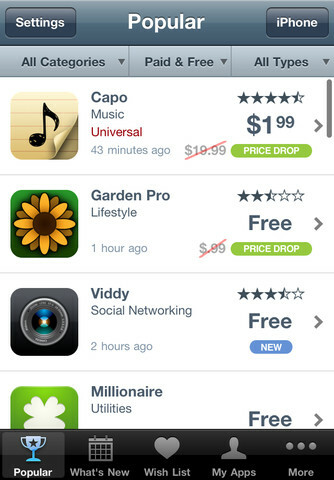 Apple isn’t going after those that offer a few apps for sale, it’s going after people that are offering an alternative to the App Store. Whether you think that’s anti-competitive, well that’s another story. With its acquisition of Chomp, Apple clearly indicated that it was going to do something about discoverability in its store, something which many users have complained about for a long time. Unfortunately, the improvements to the App Store haven’t coalesced all that well as of the release of iOS 6 and I found in my review that several of the changes could actually have a negative impact on developers and users looking for the best apps. But Apple is far from done with the store and changes continue to be made daily. And some developers, like David Barnard of App Cubby, say that the changes haven’t affected sales negatively much, if at all. But whatever that something great is, it needs to have a demonstrably different bit of functionality not offered by Apple.